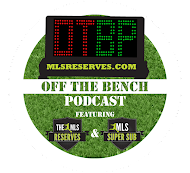 In this episode Luke and Pedro debate the finer implications of Omar Gonzalez as a Designated Player, what the Bosnia match means to the future and where MLS is confusing. Also, Richmond Kickers' head coach Leigh Cowlishaw joins us to discuss his team clinching the Regular Season Championship for USLPRO. Also, if you like NASL and USLPRO coverage, give NASLCast and PROCast a follow. Two shows that are looking to expand their audience. Off The Bench, best served with brunch. Your video today of the fantastic highlights from the US Men's National Team victory over Bosnia-Herzegovina. Incredible.